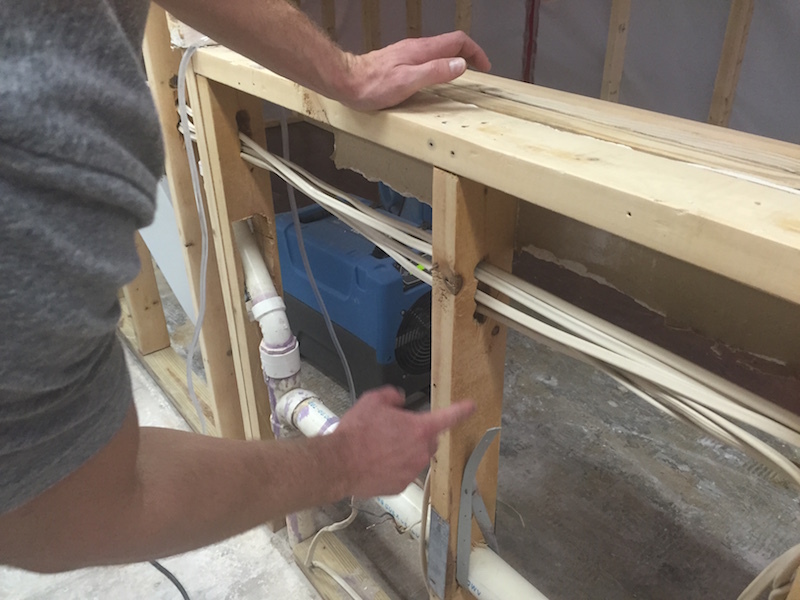 If you have read my last few posts, you might have seen that we had a water leak and now we are dealing with a mold outbreak. No one wants to deal with mold, but sometimes it just happens. Here is my entire series on how to get rid of mold in your home! Follow along with me on this journey, dare I say…This Mold Journey?? Yikes A Water Leak! Renovation Time! New Floors, New Kitchen! If you are seeing this series of posts for the first time, I encourage you to start with the first post and work your way through the remainder of the posts. Removing mold is a process and I lay this process out 1 post at a time. Lets move onto the next steps to ensure that we get rid of this mold once and for all! So now that we have the proper equipment contained in this room, we can now start removing the walls. In our case, we had a pretty bad mold outbreak which required us to remove the walls, or drywall. See the picture at the top of this post? That is what our mold looked like before we actually took down the walls. Here is what it looks like exposed. 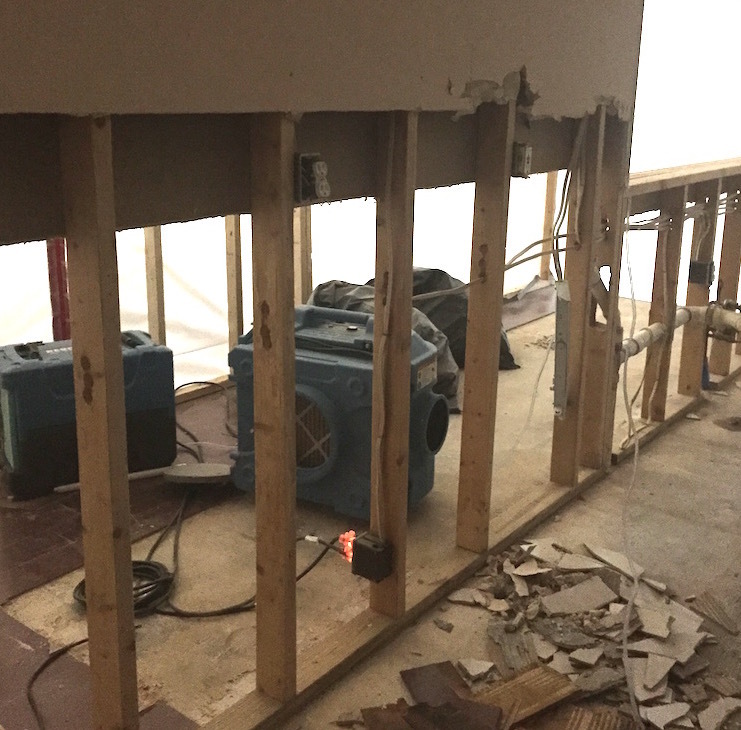 The water seeped under the tile and the wood floors so the flooring needed to be removed to eliminate the mold underneath. 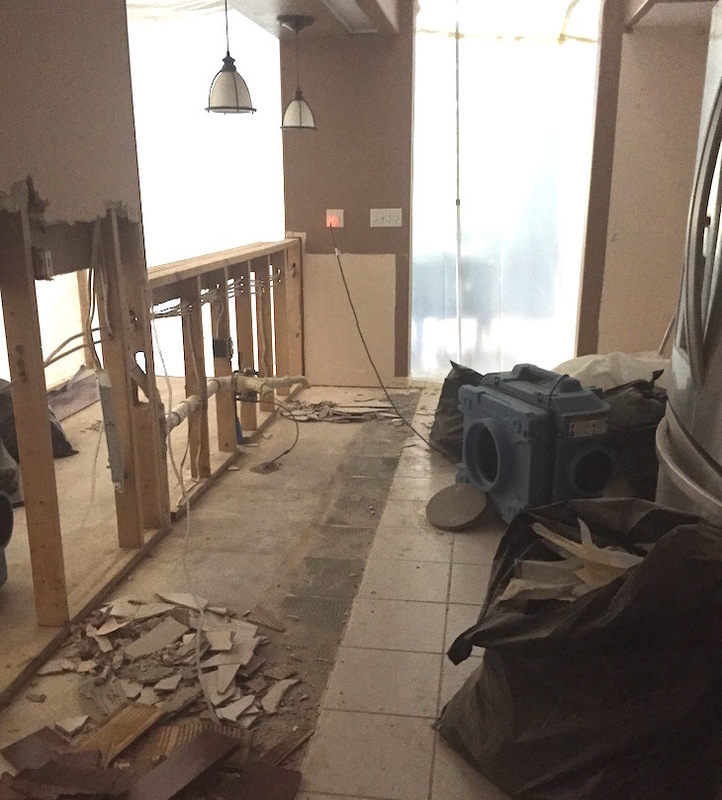 Now that we have exposed the bones of the house, it is time to start working on eliminating the mold. The exposed studs shown in this picture (below) all have to be sanding. Essentially you are helping to remove the mold by sanding off the spores. 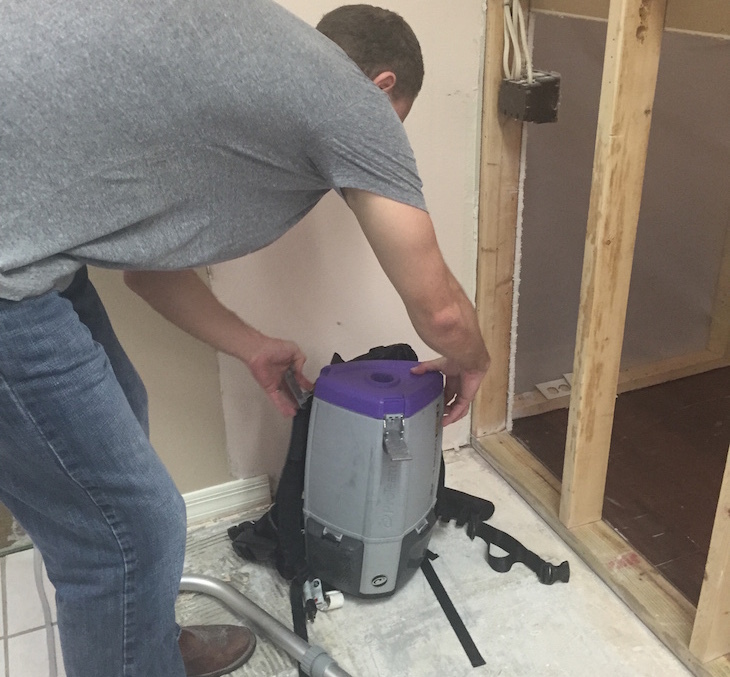 Once all of this is done, A HEPA Vac is used to vacuum up all the particles on the surfaces. 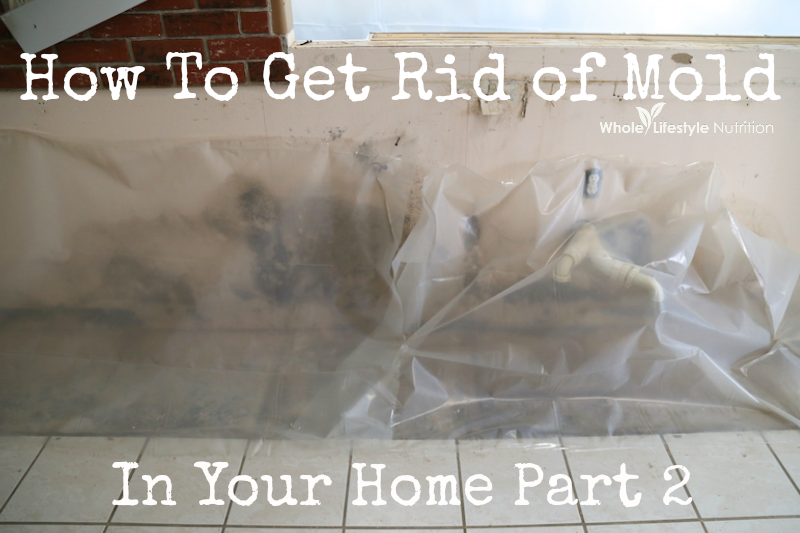 I know….who ever thought there were so many step to getting rid of mold, right? We are 2/3 done with this mold removal! In my final post coming out this week, chemicals are used (there is no way around this…chemicals are needed to get rid of a mold outbreak of this magnitude), an independent inspector is brought in and our samples are sent to a lab. « Video ~ How To Use Coach.me!